The Democratic Progressive Party (DPP) has said it is set to sweep all parliamentary seats in the eastern region- considered the stronghold of United Democratic Front (UDF) – in the May 21, 2019 Tripartite Elections given the cream of candidates the party will field. Zomba Chisi parliamentarian, Mark Botomani made the declaration at Mtakataka Turn-Off in Monkey Bay where DPP National Campaign Director, Everton Chimulirenji and the party’s Organizing Secretary, Chimwemwe Chipungu held a political rally. 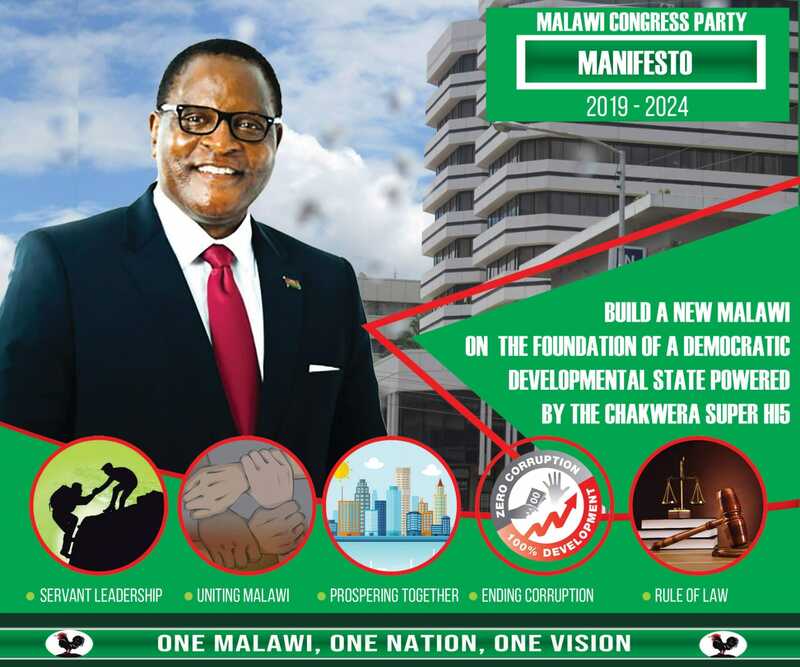 Botomani said under the current leadership government had transformed the eastern region and that with the competency of the DPP candidates, the 2019 polls would be a walk-over. “When I look around, the quality of candidates that the DPP will field in the eastern region for the 2019 polls, the likes of ourselves and Ralph Jooma, I don’t see anything stopping us from scooping all the 12 seats in Mangochi and indeed all the seats in the east,” he added. Botoman said the election of Minister of Education Bright Msaka to the position of Vice President in the region was an advantage for DPP to mop all seats in the eastern region. Chimulirenji who is also DPP National Campaign Director welcomed Jooma to the party saying the Secretary General, Greizalder Jeffrey, would soon hold a rally at Monkey Bay to welcome Jooma and many others who had joined DPP. Jooma was People’s Party (PP) parliamentary chief whip and vice president in the eastern region. He ditched PP to join DPP and was recently elected at the party convention into the governing council as economic director. Other legislators who graced the rally included, Geoffrey Mereka Chiwondo of Mangochi West, Benedict Chambo of Mangochi North, Mwai Innocent Kamuyambeni of Ntcheu West, Shadow MP for Mangochi Central, Victoria Kingstone and Deputy National Director of Elections, Daudi Chikwanje. Now eastern region is for mcp,just wait and see 2019 Bola mulungu atisunge ndi moyo,tione zomwe sizinachitikeko PA Malawi. Building Castles in the air. Even during during Bingu it was not possible to get all seats there. Nanji APM. Talk of Mulanje and Thyolo where u will struggle to get some seats there. DPP kukoma exaggeration aka tilamulira mpaka 2084. That time all nkhalamba u have will have disappeared and even all of us here. What an exaggeration. All this because of greed by the Muluzi family who once predicted that chipani chidzatha ngati nsalu ya makatani. Mului and his son are honestly stupid. They could not read dpp motives. Dpp is now very weak in tbnorth and centre. They are weak in the lower shire. Now they are targeting the Yao belt. They think they can get something in the north through 84 year old Goodall. To hell with dpp. Is UDF listening at all. Ordinary people have always questioned the DPP/UDF alliance. DPP views UDF as a condom……use it and then throw it away when done. DPP hascnow successfully used UDF and its now time to damp it…….wait, not just damp it but kuinyenyanyenya. Atupele made one of the biggest tactical moves in 2024 by accepting the olive brach. It was a poisoned chalice. Itvwouod be stupid of UDF to accept same gesture even if Atupele is offered running mate position by Peter; it will wipe out UDF completely. Soon UDF will be gone for ever like AFORD. What a lost legacy coz of dyera…. Now,this is final advice to all you Parties!!!! The one who will construct the road from Zomba to Kachulu and then find some good water transportation for Chisi island will remain for ever and ever!!!!!!!!!!!! !